gREAT SAHBI….SO PROUD OF U ! you should use twitter , so we can read your news ! salem, nasro khoya ellah yahafdek wi berk fik mais j’ai pas pu faire la manip qui consiste a changer le serveur virtuel je ne trouve pas la page correspondante sur mon routeur merci de me guider et bonne continuation. Re-salem, en fin de compte j’ai pu faire la manip j’ai juste aller fouiner un peu du coté de la NAT et puis j’ai accedé au virtual server et j’ai suivi votre exemple merci beaucoup mais j’ai quelques questions: est-ce que ta méthode est comme en dit “bulletproof” ou bien doit-je chercher dés maintenant un bon modem-routeur au lieu de ce tp-link merdique? à propos que me conseil-tu comme marque de routeur avec un bon rapport qualité-prix? merci d’avance. Thanks for your comment :), well .. the prevention method I posted is guaranteed “Port forwarding” and they’ll not be able to extract your rom-0 config file, but only from outside of the network. 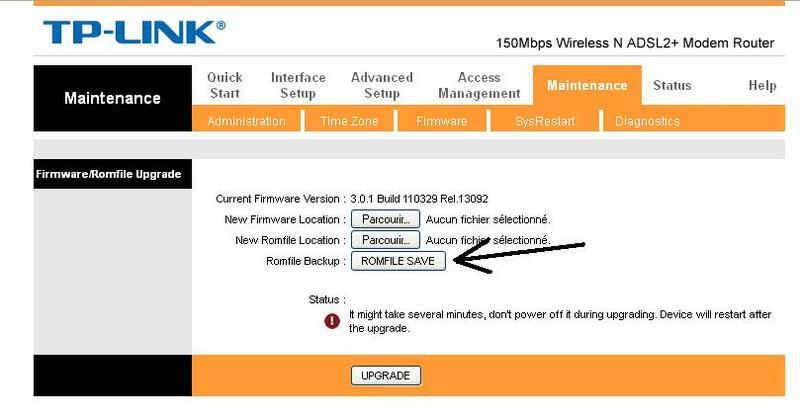 So if somebody is already inside your LAN and he browse to “192.168.0.1/rom-0” he will still be able to download it. If we’re talking about a business network, the best option is to implement a more secured one like “CISCO” ..
It’s because the site : http://50.57.229.26/ was not working, but it’s up and running again. The URL http://50.57.229.26/zynos.php no longer seems to be working. Do you have an alternative or a copy of http://50.57.229.26/decode.php? I don’t suppose you have a copy of http://50.57.229.26/decoded.php or know how to get how of this. Thank you for saving my a** by the way. why? are there any other alternatives? Please check again, the site is working ! Yahh, thanks for your articles. 50.57.229.26 may be blocked by my ISP. I found many links pointing to a website at http://everlost.nl/kender/zyxel/source.zip, which should contain the source code of how to decrypt rom-0 file. Unfortunately, it was down and I can’t even find everlost.nl exists. Nasro, please write a script or a tool (C#..) to decode rom-0. You can send it to my email. Thank you, I really appreciate it. can any one help me about this trouble ? The scripts include a C file that allows for decompression of LZS files. The script expects a single ip and therefore will need to be modified for a range. A mix of this and Nasros scripts should do it. The Hacker SADAM213 started His baby script ! @kzelda: Can you upload zynos decoder and give me the link? I’ve tried with google but not any luck. Can you help me? Nasro, no offense but this is a really (really) old vulnerability. Just take a look at Adrian Pastor’s report from 2008 (6 years ago). I’ve come in contact with these babies a long time ago, living in a place where there are many security cameras. 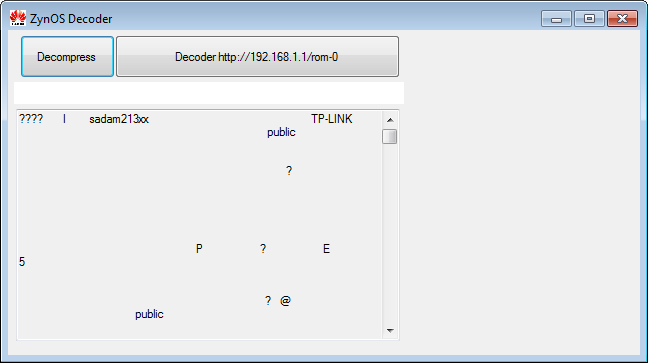 I have the decoder offline those who need drop me an email . Does the “Router Pass View” program open rom-0 files? Then you wouldn’t need those zynos site alternatives. Let me know here if that program opens rom-0 files. 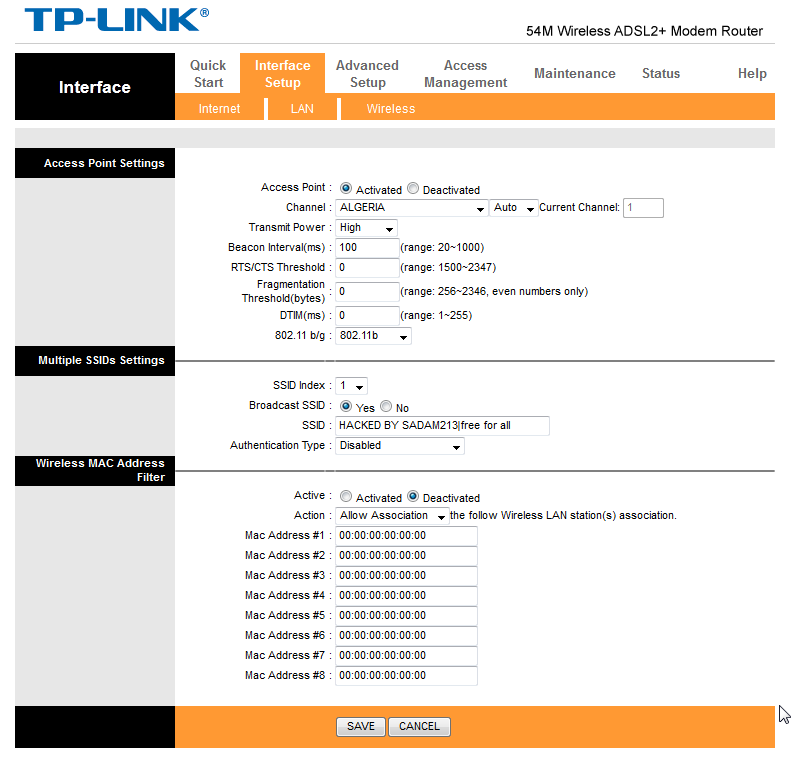 For example, it does decode TP-LINK DES encrypted .bin (or .cfg) switch/router/AP files. This looks like generic trendchip firmware (Billion, Tplink, Sitecom, Michelangelo, Edimax, Trust, Airline, Topcom, etc). Could be all vulnerable. Doesn’t work like that in mine. I did as you advised but if I type – my current IP address/rom-0 – the file is still downloadable. My router is constantly attached. 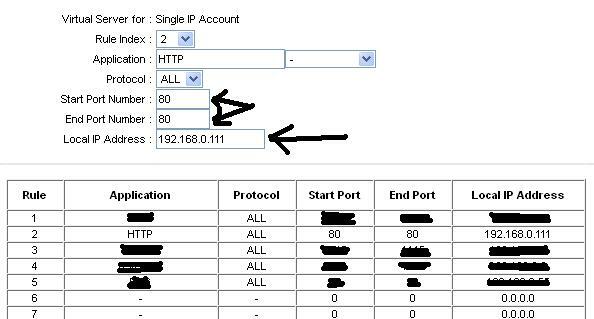 The only thing that slows down attackers is to change the gateway IP (along with the subnet one). But eventually the program they run will get my IP (up until now the only thing it does is to reset the router using the 192.168.1.1 IP and setting a random password). When this happen I have to just download the rom-0 file, unpack it and get the new password. And I think when you forward port:80 the managment port will be 8080, so forwarding will not fix anything.